A museum dedicated to Florence in the past offers visitors fascinating and rare views into what the city used to look like. 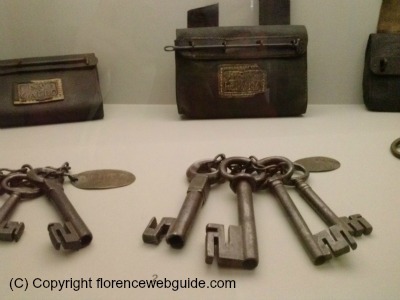 This lovely Florence museum is located on the ground floor of Palazzo Vecchio and is the one part of the museum complex that you don't need to purchase a ticket to visit. The museum is called 'Tracce di Firenze', literally 'Traces of Florence' which is what it does...traces the development of the city from the 1400's through to the twentieth century. As soon as you go in, just to the right of the entrance, is a very user-friendly multi-media map called 'Catena della Città', the 'chainlink of the city'. This 'chain' is a map of Florence in the 15th century with all the city's main landmarks highlighted and linked together as you weave your way through the city streets. 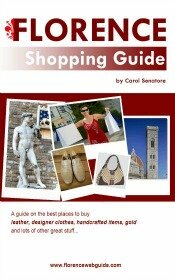 Each landmark is highlighted with a circle (a link in the chain) which you can tap with your finger to read about (eg Ponte Vecchio, the Florence Cathedral, Santa Croce, and so on). You can also use your hand on the screen to zoom in or out. This Florence is the past permanent exhibition also has several very large paper maps, paintings, and drawings of what the city used to look like as well as some urban layouts that were proposed but which were never set up. You get a very clear idea of what the city was like during the Renaissance with its fortified walls and huge arched entrance gates (some of these original arched doors/towers are still standing and can be seen around Florence today). 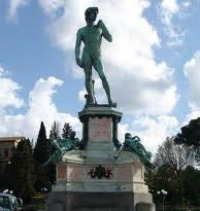 From 1865 - 1871 Florence was the capital city of the United Kingdom of Italy. In order to fit its new role the city underwent a huge overhaul and refurbishing. 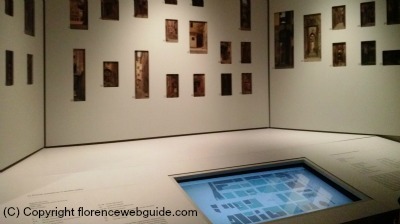 The area in the Florence in the past museum (see picture below) shows images captured of the city before the modernization changed its appearance forever. 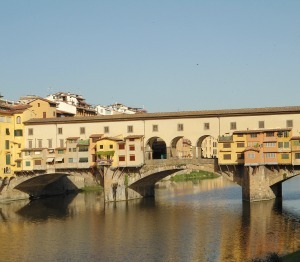 'Tracce di Firenze' also has a section dedicated to art related to Florence in the past and today. There is a permanent collection of paintings detailing views of the city in the 1800's and 1900's, and an area for rotating exhibits. 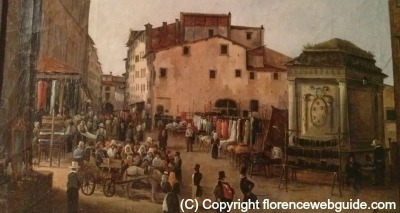 The painting below shows Piazza San Lorenzo and the San Lorenzo street market in the 1800's. Notice the wide pedestal on the right with Medici coat-of-arms? This is the base for the statue of Giovanni delle Bande Nere (Cosimo I's father) that can still be seen in the square today. This permanent exhibition in Palazzo Vecchio illustrating what Florence in the past was like is a little gem of a museum. Maps and paintings show a clear bird's eye view of the city and the multi-media areas give simple explanations about how each section developed and changed over time. The whole exhibit is in three small rooms and can be seen in under an hour. 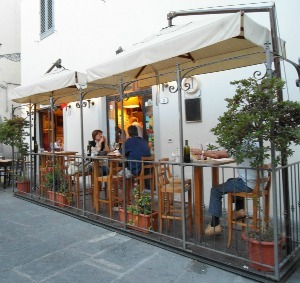 Its central location and free entry make for a very convenient and must-see stop in Firenze. The entrance is free, but you are supposed to get a free ticket from the ticket booth or Info Point (which are just to the left of the museum's sliding glass doors). It's a good idea to do this, but if the lines are long and it seems like it's too busy, I recommend just asking at the door if you can go in. The staff tend to be easy going about people having gotten their free ticket for access.